Return of the Link Tax? As an author I detest the idea of a link tax as it seems to me to apply to the book blogging community. As I read it - and correct me if I'm wrong - a blogger can be charged for linking to other sites. And on the other, because a review can earn money if people link to it, there's an incentive to write a positive review, so that authors and their publishers will link to it, which destroys the impartiality of reviews. There's another word for paid reviews - it's called advertising. If you agree with my interpretation of what's proposed, time to click some links while they're still free. Having re-listened to Neil Gaiman's Stardust on audiobook, and the author's postscript, in which he extolled the pleasure of listening to Huckleberry Finn on audiobook, I took a punt on that as my next audiobook. It's supposed to be a classic, but it didn't work for me. Huck Finn is a child of his time, complete with prejudices. So a first person narrative puts you right inside his head. For me, that was at best uninteresting, occasionally veering into repellent. For books in that vein, Richmal Crompton's 'William' books work far better - the third person narrative voice shows both the good and the bad of each character less filtered. But nothing has yet displaced Ray Bradbury's 'Dandelion Wine' from the top of that somewhat ill-defined pile. So it shouldn't come as too much of a surprise that immediately following that, I also abandoned Iain Banks' The Wasp Factory. A first person narrative of a repellent individual. I didn't want to spend my morning commute in that head either, so it, too, has been returned to Audible for a refund. The same fate, and for exactly the same reasons, as Nathan Filer's The Shock of the Fall, a year or so back. I so enjoyed the first book in the series. This was a real let-down. None of the twists and turns of the first novel. The good guys had too much power and were never in any real danger. A very ordinary villain who's only caught because he loses his nerve and forces a showdown. The obvious suspect: apparently guilty then proven innocent by a new-physics rabbit out of a hat. And the first book's teen heiress, who showed such promise then, proves to be a spoilt, image-conscious, superficial brat after all. It pains me to give such a low rating to an author whose other books I've enjoyed so much, but this book felt rushed, written without love or inspiration, to satisfy a contractual obligation. No, not the book itself, but arguably the three adjectives Miéville overused most, to the point where I could see the next one coming. Adjective storm ahead, skipper - shall I alter course? No way around it, ship-mates, just batten down the hatches, and get the men down off the rigging. Though come to think of it, ineluctable thus becomes appropriate. There was an ineluctable pomposity to Miéville's vocabulary that set my teeth on edge. Channelling the spirit of Dickens, or possibly Carroll's Humpty Dumpty, Miéville launches ponderous descriptive passages like a French column plodding up towards the British lines at Waterloo. Yes, I get the point. New Crobuzon has many poor districts, and, gosh! they're all very similar. So pugnacious, too, becomes appropriate, as the reader (or listener, in my case) is battered by the word-storm that makes no apology for consuming 31 hours and 5 minutes of my commuting time. 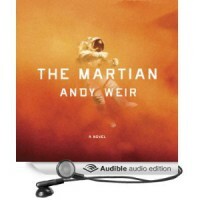 Still, the Audible app did award me a badge for endurance. Etiolated? Well, it was certainly drawn out, but it was not pale. Miéville's palette was certainly not pale, though the two colours most used were blood-red and faecal brown. Maybe that's just par for the course for the New Weird genre. Don't let the above give you the impression I didn't like the book - there was much to commend, and I shall get to that. My point is that there was a lot of baggage that wasn't to my taste, and it did go on. And on. There was at least one occasion where I fell asleep listening to it - not while driving, I hasten to add - and when consciousness returned I wondered about rewinding. After a minute or so, however, I realised I hadn't really missed anything vital, in terms of plot development. Though I might not be able to answer crucial questions on the sewage arrangements of whichever New Crobuzon slum the narrator has just escorted me through. The protagonists were amusing, flawed, interesting. I cared about Isaac, Lin, Derkhan and Yagharek. The ideas kept coming, the plot kept twisting and in ways I did not always see coming from afar. The ending, when it finally came, was a mix of tragedy and anti-climax. The super-weapon worked flawlessly (there had been times when I was convinced that Isaac was more charlatan than scientist) and of all of the many things that could have gone wrong, and been used to wring more tension from the big showdown, not one materialised. However, the aftermath is perhaps more interesting for it. Some villains got their come-uppance. Others did not. No-one is undamaged by the events of the book. This is definitely not a happy-ever-after novel. Interestingly, the book ends with the garuda, Yagharek. Yagharek - arguably - is the root cause of all the mayhem, all of which in some sense flows from his crime. Yagharek is the only character who is permitted a first-person voice, and it is surprisingly fitting that he speaks the book's close. I see a lot of praise directed at China Miéville's works, so I decided to check out whether it was deserved or just hype. 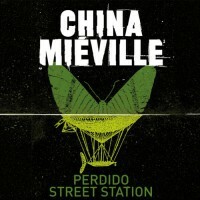 I chose Perdido Street Station on audiobook, narrated by Jonathan Oliver. #1 Persevere beyond the Prologue. I came within a hairsbreadth of a DNF. The delivery was so intense, so laboured, so self-absorbed, so in love with its own erudition, so over-delivered that it felt like a parody, that I wanted to rip the tape out of the machine and hurl it out of the car and into the stygian night. Then I remembered it was on my smartphone, that I could just return the audiobook to Audible for a refund, sans histrionics, sans pretentious gesturing. Then, before I could safely bring the car to a halt and stop this OTT assault on my brain, the prologue ended. A new chapter began. It was still excessively descriptive, still somewhat over-delivered, but the intensity had diminished from eleven to about an eight or nine. And it was going somewhere. The cast was starting to assemble, and they were interesting people in an unusual city. I found I could bear the narrator. I was happy to play the game of understanding New Crobuzon and its rules, its races and its technology. Now, at about 18 chapters in, I've got to know the characters rather better. I don't think I'd choose any of them as close friends, necessarily, but I'm happy to root for the ones Miéville wants me to root for. I'll cheerfully hiss the relevant villains, while noting that they're not motiveless ciphers, and accepting they're complex characters in their own right. So I'm enjoying the ride. 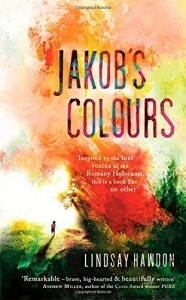 This was a hard one to get into - a spur-of-the-moment audiobook which starts following a young Romany boy Jakob as he avoids captivity in the last year of WW2. Hard to get into, because initially there was a lot of time spent in Jakob's head that doesn't work well in my usual audiobook environment - commute-time traffic. I drifted and had to rewind a few times. ...but it's working, and Hawdon is juggling everything skilfully. Every point of view has something to say and there are none that we want to skip, in order to get back to the main PoV (if there is such a thing any more). There's a pattern unfolding nicely, and we see the connections across two decades. There are hints about the fate of the protagonists, and the minor characters (Jakob's siblings), and we know that in late-war Europe, bad things were likely to happen to gypsies. But we hope for Hawdon's creations, when we really shouldn't. There will be tears before the end. Some will be tears of sadness - I can't believe we won't lose Lor - but I dare to think that Jakob will survive and not be broken. The narration is somewhat quirky, with some unchild-like voices for Jakob and Cherub. It's conceivable they've been rendered that way to reflect the way that Jakob has himself been damaged by his experiences. Still, I've reached a point where I've accepted the voices and they don't grate. And now it has come to an end. The strands converged, pretty much as I knew they had to, joining one by one until there were no loose ends. Lindsay Hawdon leaves us with hope, and with one, final, numbing shock, that says so much about humanity at its best and its worst. Sometimes you can't say which is which, and that is a daring message on which to end a book. This is a book that will linger when it's done. 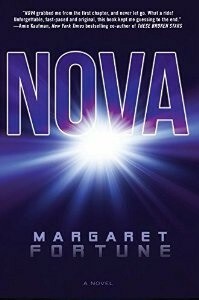 Another entry in my quest for good SF for YA readers. Occasional quest, I should say - it's not the be all and end all of my reading. And not everything I read ends up with a review. So I was at WorldCon in Spokane a few weeks back, and at the Golden Duck awards I heard a great definition of YA, which was "teenage protagonists making adult decisions". Brilliant definition, IMHO. This book certainly has that, and the science is right in there. But is it - at the core - a good story? The cover blurb tells you straight up that the classic female teen protagonist, Lia, discovers that she's a human bomb, set to go off in 36 hours. Good hook. And then it also tells you that the countdown stops. And that it starts up again, but intermittently. It's a great device for controlling the tension, and the author makes extremely good use of it. The author really does play with your head, making you think it's this kind of novel, but then, no, it's that kind of novel. And you don't resent it, because it's well done; on the whole you can see the seeds for the twist in hindsight. When you reach the end, you see the pattern to the whole. It's only in the middle that you feel like an ant trying to make sense of a quilt. So what do those elements look like? Well, there's the bomb. It could be simply a race against time to defuse it, and save the space station. But is Lia a heroine or a villain - or put another way, is she on the right side of the war that's raging, or on the wrong side? So maybe the right thing is for the bomb to go off, maybe not. In that context, you can work out that there are probably only a handful of outcomes to the novel. The bomb doesn't go off, or it goes off. In the latter case, nobody dies (because the bomb has been taken out of Lia), or Lia alone dies (because she's taken herself away from the station), or everybody on the station dies. So the question becomes which one, and you're kept guessing right until the end. It's really well done. Then there's Lia. She starts off as a barely self-aware, cyborg-like personality. She's quite OK with the idea of blowing herself to smithereens as part of the covert war. So where's the story in that? Not surprisingly, Lia gets awakened, and after a while she realises she doesn't want to blow anybody up. You, the reader, are in Lia's head through all of this, and you engage with her. Being in her head, you start to realise that her mind has been tampered with, which is another device that both feeds the tension, and sources fresh twists as protective layers of her mind fall away. You like Lia, and you learn to trust her judgement, that she won't fail to make the right decision when the crunch finally comes. The question is, what will the crunch finally look like? Then there's the rest of the cast, particularly Michael, Lia's love interest, and Teal, Michael's protective young sister. Michael is Lia's reason to live, and is on the receiving end of a lot of anguish, as Lia variously lies to him (to protect him when she thinks she'll have to die) and opens up to him (when she thinks that she might not have to die). Teal is a very believable protector for Michael, and is arguably better drawn than Michael, with a motivational and emotional complexity that makes you look forward to her contributions. There's the war. Which side is right? Or are they both wrong? There are peace negotiations happening, so why do Lia's superiors want to re-ignite the war with an act of terrorism? There are mysteries about Lia's origin, her family, and their allegiances, but no details there, or any other story elements either, as that would be a spoiler. It is a good story, with mystery, thrills, romance, false trails, believable characters with plausible motivations. A good supporting cast of variously sympathetic and flawed people. As I said earlier, there were never that many possible endings for the story, and the ending that Margaret Fortune chose is a satisfying one. You do get a glimpse, just before the end, and that's as it should be. It's a necessary part of this journey. If this book doesn't pick up an award or two, I shall be surprised. It's certainly a strong contender for the next Hal Clement award. 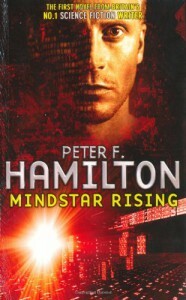 I approach Peter F Hamilton's books with caution. They're just huge. I picked up the Neutronium Alchemist a long while back and still haven't read it because I realised it was volume 2 and I can't face reading volume 1 first. But I did enjoy Great North Road, which is a rare standalone. So when I was browsing for my next audiobook I settled on this, which was a volume 1, but one which looked to be readable as a standalone too. Good narration by Toby Longworth certainly helps. He gives the main protagonist a jaded, world-hardened tone that sets you firmly in a post-ice melt England. At first it felt like technology might have stumbled and fallen, but no. The technology is front and centre. Also prominent on stage is the tension between left-wing politics and high-tech industrial conglomerates. 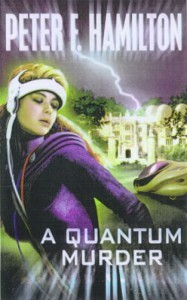 The protagonist has augmented mental capabilities. Actually the book is teeming with significant characters with psi-glands and augmented brains. Thankfully there are antagonists to match, else it would all be a bit too easy, though the early part of the book does start to look like relentless success for a while. PFH plays a lot with the world-history, picking up and dropping threads (and hints) about where the book will end up. The one thing I will say is that there weren't many red herrings, and if something looks like a throwaway line it probably isn't. As a result, most of the twists aren't too unexpected. It's like "count 'em out and count 'em back in again" - anything that you think PFH has left unresolved will eventually re-appear, to kick the narrative off in a new direction. One of the brightest points of the book is Julia Evans, the teenage heiress of the industrial conglomerate. She's far better drawn than most teens in adult SF. She has a brain, and uses it. She's fallible, caring, ruthless, daring, wise, emotional and controlled. There's an airhead best friend and a doting male suitor, but when there are unmitigated villains battling for control of corporations and even countries, teenage manipulations can backfire badly. My usual grumbles about elastic security. The good guys have great physical security and an overinflated opinion of their electronic security. The bad guys have awesome black hats on their side. Then the good guys team up with an even more awesome white hat. Bah! It's a complex book, tackling some dark themes, and at times my attention did wane - but usually if I was already a bit sleepy or distracted. This book deserves your full attention. I'd particularly commend this if you're a YA reader looking to try out mainstream SF and willing to tackle the complexity. I came across this while perusing the longlist for the Andre Norton award, selecting it because it wasn't fantasy or horror. It opened well, with the voice of a human-plus, one of the new class of augmented memory humans, set against an underclass of normal humans. The problem: someone is stealing the memories of the augmented humans. Initially coming to the aid of her best friend, who's a victim, Genesis Lee, the teenage female protagonist is having her own memories stolen, but piecemeal rather than wholesale. Who's doing it, will she get her friend's memories back, will she manage to remember the standard human male love interest from one date to the next? Not too surprising, any of those questions. Definitely no surprise that there are mobs rioting as tension between the augmented humans and standard humans escalates. But then it gets complicated by a separate science thread, that of DNA theft, enabling the possessor to masquerade as the victim and defeat all the (DNA-based) security of the book's world. So it's certainly a good yarn in the YA mould, with an entirely decent scientific background. The book is at its strongest when it explores the nature of identity, not only (and obviously) in our own memories, but also the relationship between identity and the memories that others hold of us. Switching metaphors, by the end of the book you realise that Shallee McArthur is going to have to pull one ginormous rabbit out of the hat. But maybe she just says, the hell with it. Have an unconventional ending instead. Recommended for YA science fiction fans who don't mind whether they get a large rabbit or an unconventional ending. I'm planning to be there on Friday and Saturday for a fairly full program including a reading, a writers workshop and 3 panel discussions, mostly with a YA flavour. I may even get to see a bit of Spokane. If you see anything else on my program, I couldn't possibly comment. More than Robinson Crusoe in Space? It would be easy to dismiss this as a re-telling of Robinson Crusoe, with Más a Tierra substituted by Mars. A disaster, abandonment, and an arduous journey with many threats along the way. Check. Using state of the art knowledge to get out of trouble. Check. Man Friday. Nope. Not even Alien Friday. Well, that's a relief. It's much more like Apollo 13. There's that same calmness, the belief that if enough scientists and engineers pore over the specs, then ingenuity and duck tape (gaffa tape if you're a Brit) will win through. I haven't checked it out, but there's a relentless arithmetic throughout the narrative that says "Weir has checked his facts. Weir has checked his facts..." For a while I followed it in my head - yes, I can do complex mental arithmetic while driving, but it's really distracting and arguably more dangerous in commute-time traffic than if I were on Mars, so after a while I stopped cross-checking and just took the calculations on faith. It did get wearing after a while, and there was a smugness that began to creep through. I don't think it was the narrator - R.C.Bray did an entirely solid job. On that subject, I pay my compliments to the quality of his accents, especially the Indian Venkat Kapoor back on earth, which avoided the trap of parody. It's perfect for film - and I note that it is indeed being released as a film in Nov 2015 - being composed of a whole series of deadly crises, lucky escapes and scientific rabbit-out-of-hat ingenuity. Add a sprinkling of nerds, mavericks and heroic astronauts, and it'll have every college graduate queuing to join Nasa. Am I getting jaded? There was a relentless cyclical nature to the narrative that robbed the narrative of spontaneity. Enough breadcrumbs that most of the disasters and resolutions were well-telegraphed. So I knew that there would be another disaster around the corner. Equally I knew that there would be another resolution. Until the final ascent. That strained my belief past the breaking point. Nobody in Nasa ran a simulation of the ascent? Really? They just crossed their fingers and hoped? Anyway, at that point I just let the narrative roll over my head to the end. On the plus side, I did learn some practical science (on the assumption that the rest of Weir's research was on a par with his arithmetic) along the way, which is always a good thing. Will I read another novel by Andy Weir? I don't rule it out. A bit more ruthlessness with the arithmetic, a little less repetition, and a little less roller-coasting and what remains is a captivating showpiece of human ingenuity, credible characterisation and well-crafted dialogue. I'll keep an open mind and see what he writes next. I won't run a simulation though - I'll just cross my fingers and hope. ... emerging from a busy start to 2015, where life seems to have got in the way of reading, or at least of blogging on books. So once again World Con looms. 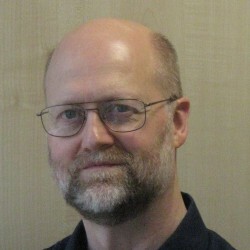 It's in Spokane this year, which seems to be harder to get to than Timbuktu, but I've just booked flights/hotel anyway. World Con is not actually until late August, but I want to orient my reading for the next couple of months around my YA panel program there. "Science and science fiction isn't just for adults. More and more science fiction for teens is being written, including hard SF. What hard SF is currently available? Who should we be reading? What should we be looking for? How "hard" should hard science fiction get for teens?" There are a few that spring to mind, such as E C Myers' Fair Coin and Madeline Ashby's vN. Cory Doctorow's Little Brother/Homeland/For the Win. Beth Revis' The Body Electric. 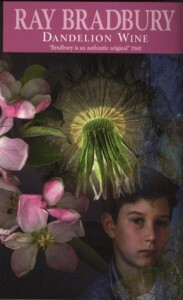 Karen Healey's When We Wake. Marissa Meyer's Cinder. 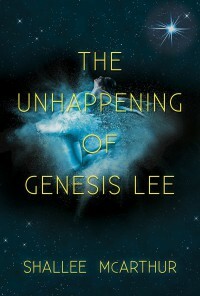 I've read all of these, and I've got a couple of others on my TBR list - E C Myers' The Silence of Six and Shallee McArthur's The Unhappening of Genesis Lee, which look as though they might have some scientific underpinning. All of these go some way towards having some hard science in them. But they're a long way from the works of (say) Iain M Banks or Alastair Reynolds. What else is out there? If you were looking for a book to win the Hal Clement award, what would you pick for your shortlist? Listening to this on audiobook, I am even more astonished by the power of Bradbury's words. Twice today Bradbury has introduced new characters, and within the space of a chapter I have been in tears, so well have I got to know and love the characters in just one or two thousand words. Nor is it a quick tear and move on - the sustained poignancy of the situation is not artificial, and I have been awash in the middle of Aylesbury traffic. Yes, officer, I was using a mobile phone. I did not touch the smartphone, but it touched my heart. How can anyone write both the young and the old with such intimacy? In concept, this is an adventurous novel, which makes it a challenge to review. It's fiction, but it's clear that Paull has done a lot of research into the subject matter, so it's almost a dramatisation of biological science, just as so many early SF novels were a dramatisation of the science of space-flight. The question is whether it succeeds as fiction in its own right. This boils down to whether the novel has a story to tell about the human condition. 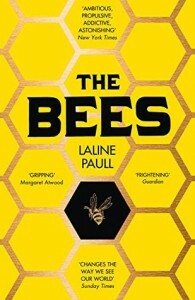 If we can't see humanity through the lens of the bees - whether it's in the personalities of Flora, or Sir Linden or the Queen - or any of the others - then the book fails. The book had many resonances for me. The whole background of a stratified, hierarchical society calls to mind Orwell's 1984, etc., and the works of Solzhenitsyn. It also recalled the strict hierachies of the mediaeval monastic orders. It brings out the very human struggling for power, the politicking that opposes ordinary people attempting to better themselves, to fulfil their potential, or just to do the right thing in a tight spot. Curiously, it also resonates with the stage. I was reminded of Capek's "The Insect Play", which uses an insect metaphor for its satire. And because of the dance aspect, I could also imagine that it would translate well into a ballet. Yes, really. In term of plot, I don't think it held too many surprises, but that's not a bad thing in this case. The life of an insect is well mapped-out, after all, and having read about insects from boyhood to the present day, it all rang true, even the "twist". Every novel should take you on a journey. Perhaps to somewhere you've never been . Or perhaps to somewhere familiar, but by a different route. Maybe faster, maybe slower. Some novels take you to an amusement park, to Disneyland. They try to hide the destination and surprise you, like a stage magician. This novel takes you round the science museum. The guide doesn't hurry you. She lets you wander round, peer closely at the exhibits, and look deep inside them, even into their souls. There's your answer. You do indeed get to see inside the souls, and see all too clearly those resonances of the human condition.